Can you believe we're half way through January already? Where does the time go? So let's party!! 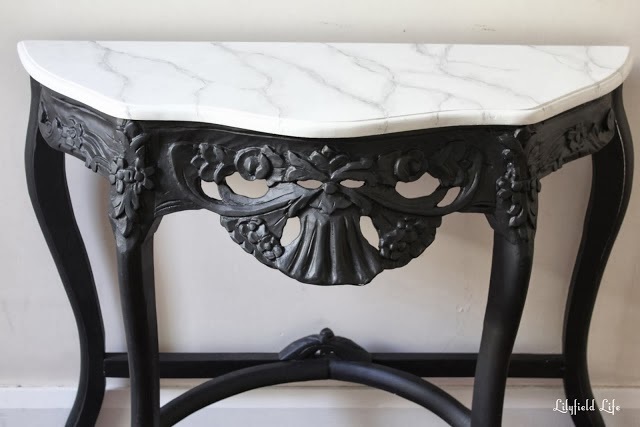 First up, I was extremely impressed with this DIY faux marble table shared by Lilyfield Life. That's some impressive painting talent. 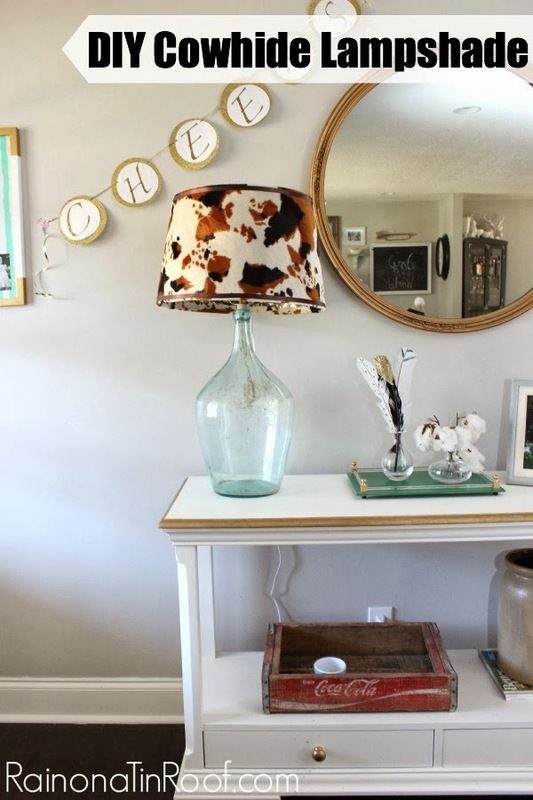 Next, Rain on a Tin Roof shared this clever DIY cowhide lamp shade. So cute! 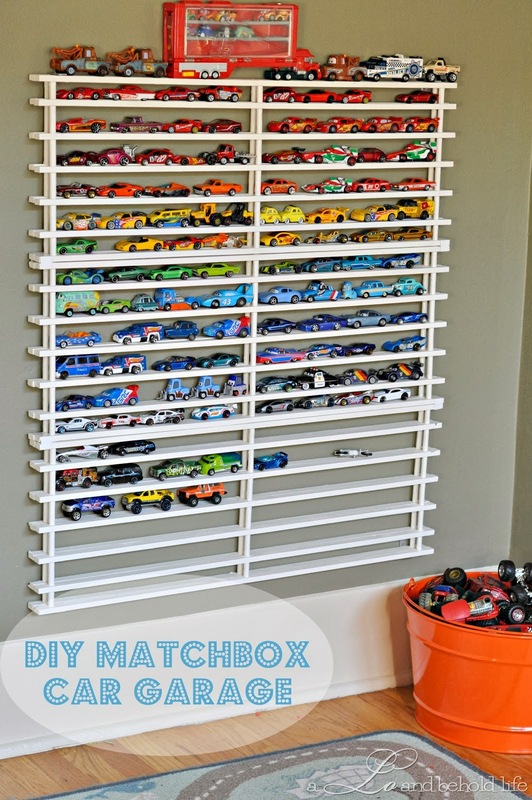 And finally, as a mom to little boys who love Matchbox cars, I could really appreciate this last project shared by a LO and Behold Life...DIY Matchbox car storage and display! i love that matchbox car display.. and the fact she has them color coded is so pretty! This is my first time linking up to Frugal Friday - this is a great party. Thanks so much for hosting it!